The trickiest part of handling small and medium businesses is keeping track of inventory. Most business start-up owners find their inventories and transaction receipts cluttered without proper storage. It is advisable to hire inventory managers or accounting specialists to do the job for you, but they remain vulnerable to human error. A slip in inventory management can lead to substantial financial losses. The threat of failure is the reason why DEAR systems created the software that can help organize inventory and make sure that your business will run smoothly. The stress of taking control of business inventory becomes more comfortable to handle with DEAR systems. The inventory management system is an all in one solution for every business-related venture such as accounting, inventory tracking, and many more. Instead of hiring multiple people to supervise and work on many transactions, you can create a profile that will put all of your business necessities into one organized account. DEAR offers storage of accounting applications like financial and business information, profit and loss statements, balance sheets, and financial reports that are ready for your viewing. 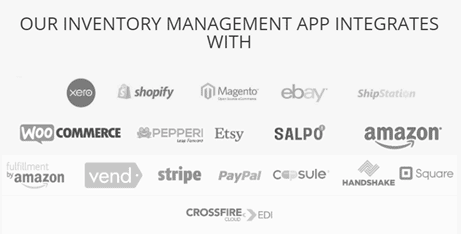 Simply put, DEAR gives you the most excellent inventory management systems while making transactions and integrations easier. Set up your DEAR account to run your business with ease. If you are having second thoughts, consider taking the software’s free trial run before opening an account. To get started, configure your company details and addresses to DEAR systems. The address information includes all types of locations like billing, shipping, business, and headquarter addresses. Then, input your company contacts to help you keep tabs on your regular clients or manufacturers. Keeping your address and contacts organized will help you run your business smoothly. Small and medium businesses aiming to be big can rely on DEAR to help them become more efficient with day-to-day operations and learn inventory management. So if you are running a business start-up with dreams of reaching success, then DEAR can be your perfect partner. DEAR’s features are current inventory control and information storage. Here are some of the business necessities that can help a business owner reach their goals using the software. You must learn how to make the right purchasing decisions to help you run your business successfully. DEAR allows you to access supplier information, helping you seek what is best for your company and limit financial losses. You will be able to choose credible suppliers based on their value and profit. DEAR also helps you prevent incorrect data entry by using the barcode scanning technology. Scanning barcodes allow DEAR to find the right inventory all the time automatically. The inventory software also boasts an automatic feature of reordering purchases before you even realize that you’re low on stock. DEAR makes order tracking easier for all types of businesses. DEAR lets you keep control of your inventory across multiple channels while giving you updates on order statuses. The inventory management system also allows you to sell items that you sell online instead of display in stores. The barcode scanning system of DEAR also allows you to hasten the process of picking your products. Its automated process helps business owners find the right inventory. DEAR also offers integration with POS systems, making sure that every retail store transactions are in the record. Manufacturers prioritize supervision of production costs and inventory status. DEAR makes the process of producing Bills of Materials for your inventory while supplying pictures of material and labor costs. DEAR also helps you finish projects by providing manufacturing costs and raw material availability. You will also keep track of on-the-job costs and service-based expenses using DEAR’s Job Costing module. Meanwhile, the Issue to Production module allows you to keep a list of stolen, damaged, or missing inventory. DEAR provides a time-saving and straightforward way of handling the accounting process. DEAR removes the exhausting task of accounting data entry by integrating with multiple accounting apps. With a simple click of a button, DEAR automatically creates accounting entries and syncs bills and payments. DEAR also makes accessing on-the-dot financial information possible. Every transaction from multiple sales channels will be synced to give you a precise financial record of your dealings. DEAR’s reporting module also offers financial reports that are accurate and updated for your viewing. Wholesale product management becomes natural with DEAR. You can save your preferred products with an automatically-generated SKU under the Product Families category. It simplifies managing product lines that are in large bulks. 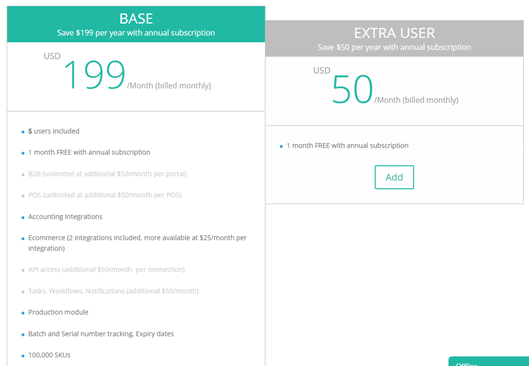 DEAR also keeps you from manually producing data entries that you have previously purchased. When your business adapts multiple retail stores across different locations, DEAR can help you keep track of your inventory. E-commerce sites make inventory hard to track because of its multiple sales channels. DEAR provides an inventory management solution that can connect the sales channels for your convenience. DEAR automates the Pick, Pack, and Ship steps to simplify the fulfillment stage. DEAR also makes it simple to update product listings by taking away the complicated process of managing multiple product information from different channels. DEAR also syncs the existing catalog. DEAR Systems allows to you access your inventory form within your POS Software Solution and can be used on iPad, Android, PC and Mac. 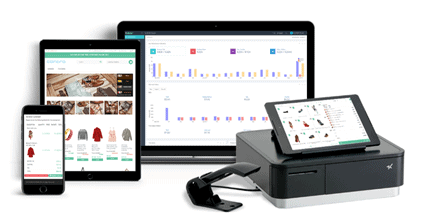 The DEAR POS Inventory System is powerful yet simple and contains multiple payment methods and the ability to sell on multiple platforms. Online and Offline – Easily continue to sell even if you lose your internet connection, all sales will be synced when you are back online. Layby, on account and loyalty points – Allow customer to layby items, purchase items on account and reward customers with loyalty points to keep them coming back. Refund and Return – Return and refund past orders using the original payment method or add the refund to customers’ store credit. Cash Management – Reconcile and balance cash by float or POS staff member. A whole new experience. Sell on multiple platforms any time, anywhere. If your business relies on eCommerce sales, you will need a powerful eCommerce platform with advanced inventory management features to back it up that connects the dots between every sales channel, system and process. Dear Systems is a powerful B2B ecommerce Software that allows manufacturing businesses to easily set up their ecommerce platform, accept orders online, communicate with their customers and boost their sales with advanced inventory management features. DEAR WMS comes with every feature you need for a more seamless, error-free and faster moving warehouse operation. Easily use the Scan SKU mobile barcode scanner and the intuitive DEAR WMS interface to capture product serial or lot numbers. The Scan SKU mobile scanner is versatile, durable and simple to use with minimal training and designed for reliability and heavy use. Get immediate alerts on any type of order discrepancy in real time so it can be addressed proactively and inexpensively. Eliminate costly errors in the packing process with the order validation features of DEAR WMS which ensure accuracy. Printing shipping labels is a breeze with DEAR WMS, as they can be printed on demand with wired or mobile printers. DEAR is established in 2012 by a group of software developers and financial advisors. DEAR aims to provide business owners with a system run by professional and experienced support specialists and business development managers. Despite being a small business with only around 50 employees, DEAR vows to satisfy every client’s needs. Here are some of the firms that DEAR helped transform. You can check their stories in DEAR system’s website. DEAR offers a free trial for those who seek the software’s accounting applications. Should a business owner want more modules for their business, they can create an account at a low price. Furthermore, DEAR offers a partnership program to help accountants, financial advisers, and inventory specialists understand how the software works, making it easier to provide efficient service to a business owner’s potential clients. DEAR will make sure that you are not alone in running your business. DEAR is the perfect helping hand for your business. A business owner will tell you that the essential part of keeping your business intact starts with proper inventory management. With DEAR, you already have one hand reaching for success. DEAR Systems: The Answer to Your Inventory Needs Overall rating: 0 out of 5 based on 0 reviews.